Learn more about how helicopters can benefit your agricultural operation in Minnesota. FairLifts can help with aerial application in Minnesota. Helicopters perform a variety of agricultural services and can help control for pests, weeds and brush, and frost. 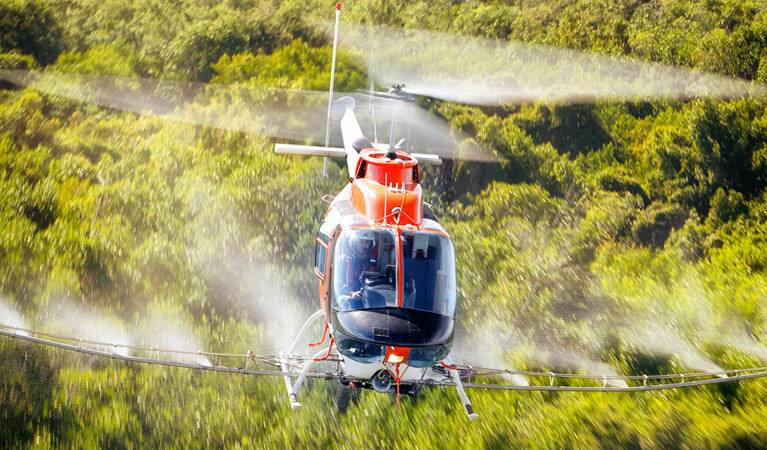 In addition, helicopters can help you water your crops and spray fertilizers on your crops. 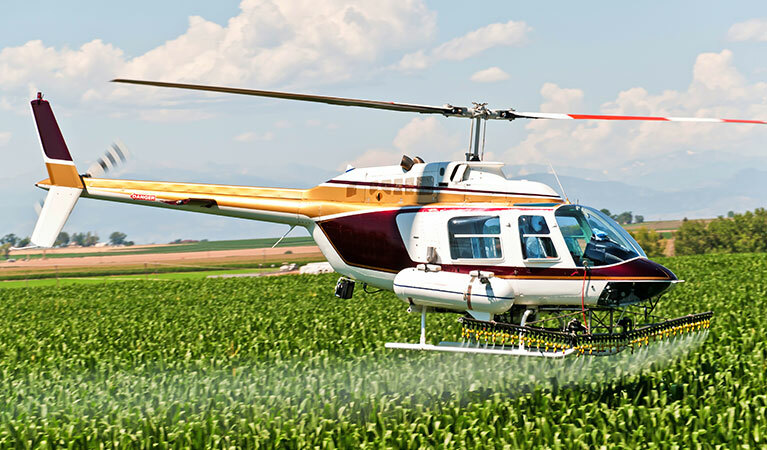 Aerial agricultural services offer advantages over traditional ground methods; often times it is faster for a helicopter to crop dust and it saves on labor. Despite its harsh winters, Minnesota is no stranger to farming. The state encompasses over 74,542 farmers and over 26 million acres of farmland. In addition, there are around 1,000 agricultural and food companies. These companies and Minnesota’s industry create around 340,000 jobs and $75 billion yearly. Crops that Minnesota ranks for in the top ten include oats, sugar beets, sweet corn, wild rice, green peas, and soybeans. The top crop exports of Minnesota include soybeans, corn, and wheat. They are distributed all over the world, including places such as Japan, China, and Mexico. From crop surveys to dry and wet spraying, FairLifts can offer you more options for aerial application in Minnesota. By using helicopters for your crop needs, you are choosing a more accurate, even coverage for your fields. Helicopters are much faster, have less of an impact on surrounding crops or roads, and provide more penetration of the crop canopy. With so many benefits as well as saving you time, gaining you profit and assisting in production of higher quality products, there is very little else to decide other than when you’d like for the pilot to come to your farm. Crop dusting, or aerial application, can help you increase your crop field. FairLifts only works with the most certified, professional pilots for aerial application in Minnesota. Crop dusting options include seed spray, fungicides, fertilizers, and watering. Relax and be at ease knowing FairLifts is helping you gain a higher yield and a higher quality of crops. Pests and mosquitos provide problems for farmers. While the damage these pests inflict on crops is problematic, an aerial application can help by eliminating these nuisances. A professional pilot who applies with local state laws can help with mosquito and pest control. Eliminate any pest you have with FairLifts. Removing brush and weeds manually is a time-consuming chore at best. A helicopter can take the time out of this chore and the effort required. A quick aerial application can help you control for bush and weeds in no time. Like the other services we can arrange, these help you have a higher crop yield and an increase in the quality of your crops. It is no secret Minnesota can get cold. The harsh weather leads to frost, which can cause problems damaging frost. Setting up aerial services can combat frost and even prevent frost in some instances. Consider this service a preventative measure to ensure the quality of your crops, protecting your yield. Experts are standing by to get you a fast quote for your agricultural job in Minnesota! If you need any aerial agricultural services in Minnesota, just give FairLifts a call. We arrange quality agricultural services throughout the state of Minnesota. We want to help you increase your yield. Call us anytime; we have people waiting by 24/7 who are ready to answer your questions.